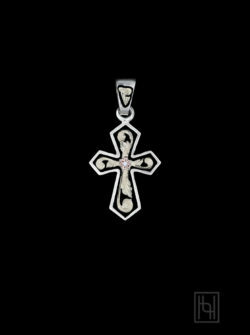 Classic Hyo Silver design elements fuse for the Vintage Engraved Silver Cross Pendant w/ Blackest Black. 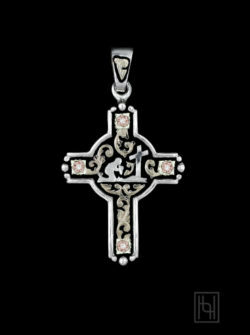 A hand cut western style flower rests between the silver engraved arms of the retro style cross. You’ll love the nostalgic western look of oxidized silver straight from our Retro Style Trophy Buckles! Sterling Silver with Blackest Black Cubic Zirconia and Oxidized Silver Background.